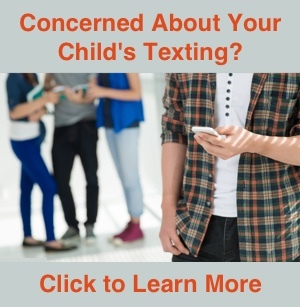 We all know we shouldn’t text while driving. With iOS 11, Apple introduced a new capability that can automatically enable the Do Not Disturb feature while you are driving. 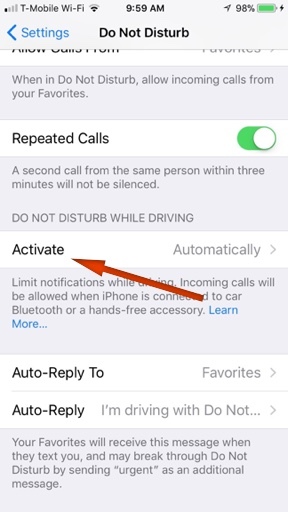 This would prevent your iPhone from displaying notifications (including text notifications) while you are driving unless you tell the iPhone you are not the person driving. The Do Not Disturb While Driving feature works by sensing motion of the iPhone. While this works great if you are typically the driver, but you may want to disable this feature if you are regularly a passenger or use public transportation. If you are regularly a passenger instead of the driver, you may want to disable this feature. On your iPhone, go to Settings -> Do Not Disturb. Scroll down to the section titled Do Not Disturb While Driving and select Activate. 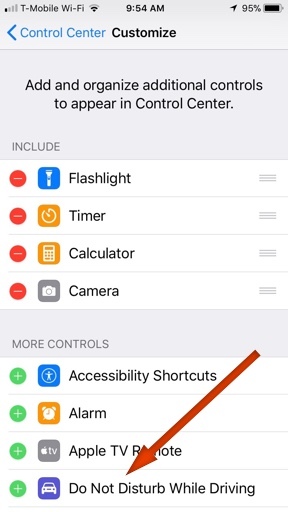 When Automatically is select, the iPhone will turn on Do Not Disturb whenever it senses motion. While this is convenient for the driver, the passenger needs to press and hold the Do Not Disturb notification on the lock screen to deactivate the feature. If Manually is selected under the Do Not Disturb While Driving section, the feature will not enable based on motion. The passenger can receive notifications normally without telling the iPhone you are not the driver. 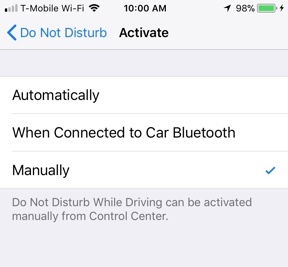 The next time you drive and want to turn on the Do Not Disturb feature, it can be manually enabled in the iPhone Control Center to keep texts from being delivered while you are driving. First, you need to add an icon for Do Not Disturb While Driving to the Control Center. Go to Settings -> Control Center -> Customize Controls and tap Do Not Disturb While Driving. 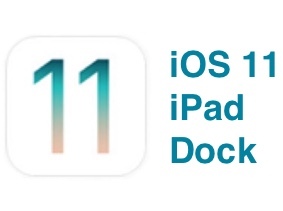 This will add the icon to the Control Center. When you want to enable the Do Not Disturb While Driving feature, swipe up from the bottom of the iPhone screen to bring up the Control Center. Tap the car icon to enable the feature.